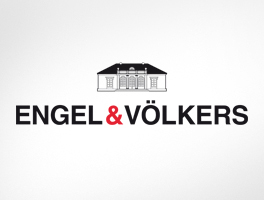 Engel & Völkers is one of the world-leading services companies specialized in the sale and rental of residential and commercial properties, as well as planes and yachts. Present in more than 800 locations in the world. Engel & Völkers offers both private and institutional clients a wide range of professional custom made services.The sale, consulting and the valuation of properties are part of the key competencies of the more than 8,500 employees. 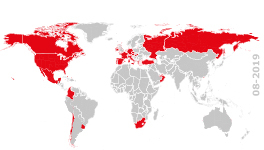 Currently the company is operating in 33 countries in four continents. Discretion is a key pillar in the moment of buying properties, as well as the protection of the interests of our customers. These values contribute to the Engel & Völkers' success. La Selva is a region rich in cultural, geographic and gastronomic diversity. Composed by sea, plains and mountains, where we can find from magnificent beaches and coves, awarded with the blue flag, award for excellence, quality and safety, to the most beautiful mountain landscapes as the natural park of Montseny (Natural reserve), botanical gardens with lots of different species of native plants and flowers. La Selva is also known as "the land of castles" for the large number of castles located in this area, most of them from the IXth and Xth centuries, the most notable among them is the castle of Montsoriu for being one of the largest in Catalonia. Its location, close to Barcelona, Gerona, the Pyrenees and France, makes it the ideal place to live, since it offers an exceptional life quality. In the area, we find nautical ports, golf clubs as well as equestrian clubs, one can also enjoy diving in the crystalline waters of its beaches and coves, hike the countless routes on the coast (network of GRof Catalunya) or in the mountain, or relax in the thermal waters of any of its famous spas. We will be pleased to welcome you in our shop in Blanes, Engel & Völkers Costa Brava Sud. You can find us at Rambla de Joaquim Ruyra 15 street. Be part of our team in Costa Brava! Would you like to buy or sell or your next home in Costa Brava? We offer the best quality real estate assessment of: villas, houses, detached homes, country houses, flats, apartments, plots, and lands, in: Blanes, Lloret de Mar, Tossa de Mar, Platja d'aro, St. Feliu de Guíxols, Calonge, Palamós, Vidreres, Maçanet de la Selva, Fogars de la Selva, Hostalrich, Sils, Riudarenes, Sant Hilari Sacalm, Brunyola, Osor, Angles, Sant Julia de Llor, La Cellera de Ter, Susqueda, Amer, Viladrau, Breda, Riells, Arbucies, Espinelves and Sant Feliu de Buixalleu.